Classical realists condemn leaders for going to war over such ephemeral goals as honor, glory, or status instead of following the guidance of the national interest defined in terms of power. In contrast, Jonathan Renshon argues that the use of military force to achieve higher status can be rational. He theorizes that disparity between the status that elites believe is just and appropriate for their state and how others treat their state creates status dissatisfaction, an aversive state that motivates some sort of forceful action to remedy this situation (pp. 54–55). Renshon emphasizes that leaders are not concerned about their global standing but rather their position within a defined status community (pp. 42–43). 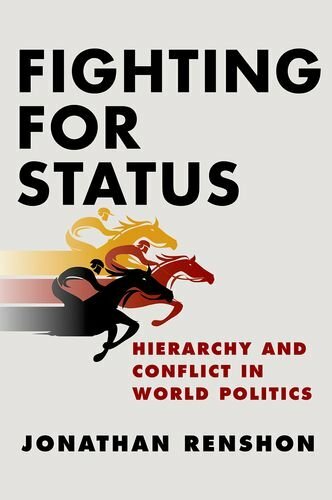 Unlike previous quantitative research on status inconsistency, which suggested that states initiate military disputes out of frustration with their inability to overcome status barriers, Renshon asserts that leaders use force instrumentally and strategically to alter their state's image. Although this may not be their explicit intent, the use of military force can provide dramatic, visible, and unambiguous evidence concerning a state's military capabilities and resolve. If so, then the international community must worry about prospects for China's peaceful rise (pp. 57–58).